Another round of overnight blogging. 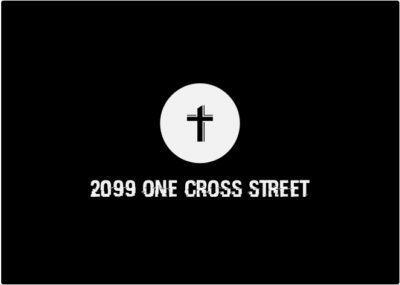 So last week I did post on One Cross Street that I’m going to do again here; like I said in that post things have been crazy busy recently with a lot of exciting things happening. That post was also a lot of fun to do – so I’m going to do it here. A bunch of stuff in one. With that in mind, let’s get to it. I’m cautiously optimistic about where this franchise is going, but it’s also confusing. The new trailer for Justice League from Comicon was put up online, and it got me excited about the movie – it was all new footage, and it was good footage. The characters looked great, Flash (who I wish was Wally West) was funny, Aquaman looked gangster, Batman had some great Bat-moments, Wonder Woman featured prominently (can’t blame them, her movie is the one that has been well received by fans and critics), and Cyborg…did…stuff (I won’t lie, I’m not a big Cyborg fan). But the thing is we’ve been down this road before: good trailer, good moments (Bats vs Supes (trailer 2 was great…the film, not at all), Suicide Squad), so part of me is expecting it to go wrong again. With each new trailer I get more excited and more cautious. Don’t get me wrong…I WANT this to good. I want the DC movies to be good (not saying they need to be like Marvel movies to be good either). I like the characters, and each of the films have had SO MUCH potential to be good. But outside of Wonder Woman, they haven’t been. There’s a chance though, and I’d love to see it turn around. I want great Nightwing, Batgirl, Shazam/Black Adam, Batman, Superman, and Aquaman movies. I like/love those characters, and I hope their big screen adaptations to be good. Hopefully they will be. Apparently they are going to make a Harley Quinn vs The Joker film. Which…huh?…what?…que?…why? I don’t really get this move. Jarred Leto’s take on the Joker (look aside) was something I actually really enjoyed from Suicide Squad, and I’d like to see more of it. Margot Robbie was also a major highlight of Suicide Squad, so I want to see more of her as well. But THIS direction? I just don’t understand it at all. I’ll keep an open mind about it, but still…WHAT?? And since I’ve talked about Suicide Squad and haven’t written a post on it yet, so why not here and now? Suicide Squad is a flick I like some parts of, but the film as a whole is way too flawed to get behind – the music was like a toddler hopped up on redbull with an ipod on shuffle, the pacing was all over the place, Enchantress’ weird dancing, the bad design of Killer Croc (looked GREAT in the hoodie, but looked awful with only a large head and regular sized body). But to give kudos where they are due, Will Smith was great as a humanized Deadshot, the aforementioned Joker and Harley Quinn, the Bat-cameos were solid, and Jai Courtney was (the only time I’ve been able to say this) actually good/great as Captain Boomerang (seriously, the character was ridiculous and a blast, I want more of him in the next one). Hopefully Suicide Squad 2 can take all the positives of the first, but learn from and not carry over the negatives. So since Fox can’t get Fantastic Four right, they’re moving forward with a movie about Doctor Doom. Which…look, is hard to get even the slightest bit optimistic about. I mean, I get it, for the most part having a comic book movie franchise at the moment is a licence to print money, so I get why they (and Universal with the rights to a solo Hulk film) don’t want to give Fantastic Four or it’s characters back. Heck, Doom is a way for them to go darker, but still – this’ll be the third crack they’ve had at this character, and the last two have been awful. I’m not trying to be a negative nathan, but I don’t see how this’ll be any good. Even more so than X-Men, I’d rather see the rights of Fantastic Four and it’s characters go back to Marvel (not that they’ve nailed everything they’ve done, especially villains, but Doom they wouldn’t do wrong…or Galactus, for that matter). So since I last talked about it, some new tidbits have come out. Tom Hardy’s playing Venom and Carnage is the villain. As much as I still have a lot of beef with this direction (it’s still dumb to me overall), an R rated movie with Carnage as the villain makes absolute sense – and the crazy serial killer that that character is would work perfectly in that environment (more so than in PG13), and Tom Hardy is a great actor. As much as I hate the decision, those things do make sense/appeal, I gotta give it that. Defenders looks excellent, can’t wait for that one to hit Netflix. I’m honestly excited for this movie because I have NO IDEA what audience it’s trying to appeal to. Like is it a buddy cop movie? A gritty look at race relations or gangs? A sci-fi (cause of the alien looking cops)? A fantasy (with ferries and magic wands)? What is this shooting for?! So they finally let us know that the 13th Doctor will be the first time the title character will be played by a woman (and some sections of the internet have flipped over this). Personally, I’m excited. I will really miss Peter Capaldi. I thought the Twelfth Doctor was excellent (outside of Series 8, Series 8 was bad and took them awhile to find the character), so I’ll be sad to see him go. But a Time Lord can (and some have) change race and gender when they regenerate, so honestly…why not have the next Doctor be a woman. And I think as long as they focus on great stories for the Doctor (and not have it be about THE WOMAN DOCTOR) it’ll be great. The actress they’ve chosen (Jodie Whittaker) was great on Broadchurch (even if her character wasn’t), and should be a blast. It also opens up for even more different stories, which is exciting. I’m looking forward to Series 11. The intro to the first season of the 90s Fantastic Four cartoon. It’s so bad, but so catchy, and so good. Hope you all enjoyed this post. Thanks for reading, and God bless my friends.